This is the case of the disappearing cookies!! I have baked them twice now and both the times they have disappeared, mysteriously!! Apparently, no one has got more than 1 cookie but of the 9 I baked the first time and 12 the second in a family of 5 they are disappearing. Making a mess of what I want to photograph. So these are my first shots that I have to be content with. To persuade me she listed out all the ingredients and went on ticking what we had at home. Ultimately the only thing I had to buy was brown sugar and eggs. 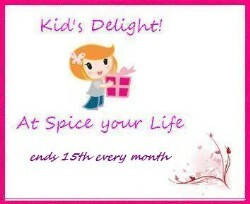 When I went shopping I forgot about the brown sugar and so I substituted with white sugar and 1 tsp cocoa powder. I must say that the cookies were delicious and soft and just melted and manage to just disappear! Many thanks Swati for choosing this delicious recipe at least for some days the question what are you giving in my tiffin has an enthusiastic response. Then I plan to shift to the next cookie, then the third then back again to recipe 1. 1. Preheat the oven to 180ᵒC and line the tray with baking sheets with butter paper. 2. In a medium bowl, sift the flour with the cocoa powder, baking soda and salt (if using). minutes. Scrape down the sides of the bowl. 4. Beat in the eggs, heavy cream and vanilla until blended. 5. Hand mix some the dry ingredients till the flour is mixed the at low speed beat in the dry ingredients. 6. Add the melted chocolate and chocolate chips and beat just until incorporated. 7. Cover the bowl and refrigerate the dough for at least 15 minutes or up to 2 hours, mine was in overnight. 8. I made small balls of cookie dough onto the prepared baking sheets, spacing them two inches apart. 9. Bake for 12 minutes until the cookies are just set. 10. Let the cookies cool on the baking sheets for 5 minutes, and then transfer them to a rack to cool completely. 11. The cookies can be stored in an airtight container for up to 3 days. 1. For 113g of cream cheese I hung 1 cup of curd overnight, in the morning I took only 36g of the hung curds, mixed it with 36g of paneer and 36g of fresh cream (Amul). The mistake here was I should have used the chutney jar and crushed the paneer then added chilled the cream and curd and beat it. 2. As heavy cream is not available in India take the Amul fresh cream do not shake the tertapack snip off and measure 2 tblsp. 3. The last two steps that are cool on the baking sheet and transfer to wire rack and store in air tight container were theory in my case. They had as I said mysteriously disappeared. 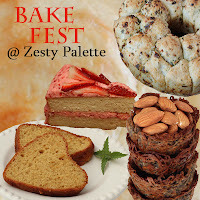 Bake Fest started by Vardhini guest hosted by me. Hey Archana, nice cookies. No doubt they dissapeared so quick. Had one question, where did u get the chocolate chips in Goa? Delicious and lovely preparation. Wonderful cookies. You are right, these are delicious and perfect cookies, disappears in seconds. You done very well. These cookies looks like they have come straight out of a store bought carton. Very nice clicks. @Raksha Chocolate chips you can get in Magsons, Naiks both at Mapusa and Margao. I have not visited the Margao shop but I understand it is available there too. These cookie look absolutely delicious…yum.. 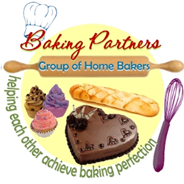 Thanks for linking to Cooking Made Easy. I know what you're saying! The cookies I made disappeared in a flash! They're really so good! Wow the cookies look chocolaty and yummy. 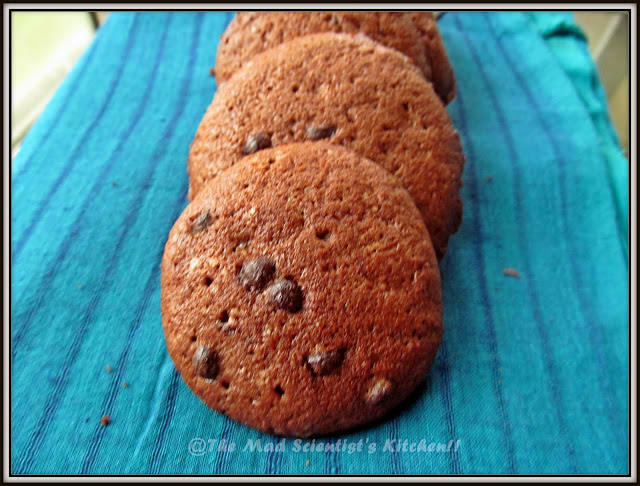 Lovely yummy and perfectly baked chocolate cookies. Looks delicious and love the addition of cream cheese.